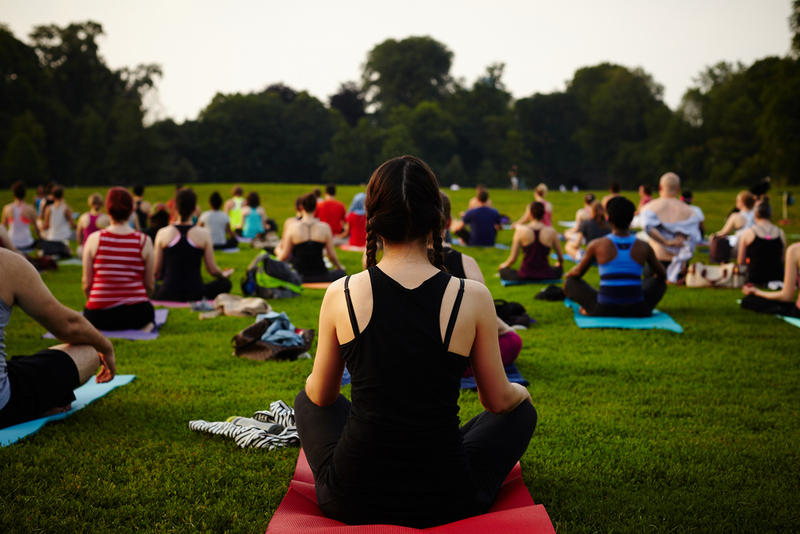 Join Bend + Bloom Yoga, New York-Presbyterian Brooklyn Methodist Hospital, and Prospect Park Alliance every Thursday night from June 6 through August 29 for free, fresh-air yoga in beautiful Prospect Park. 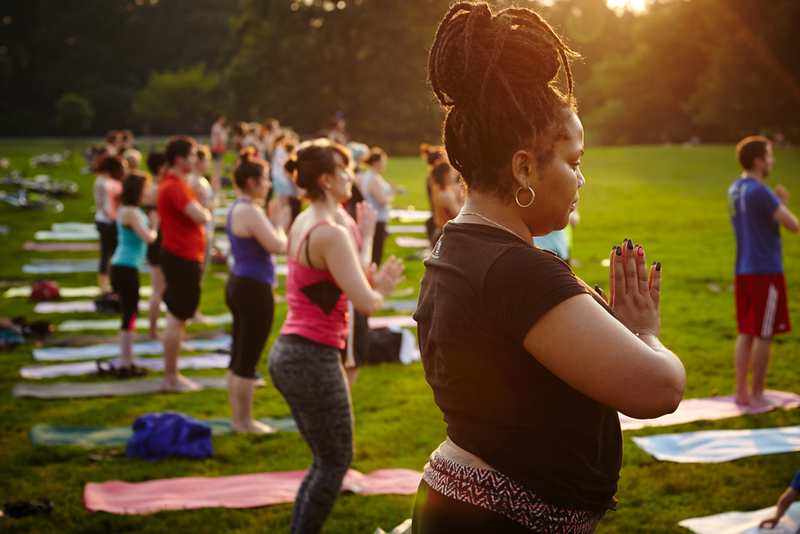 The series draws hundreds of Brooklynites, of all experience levels, each week to celebrate and experience yoga and wellness in our treasured park. 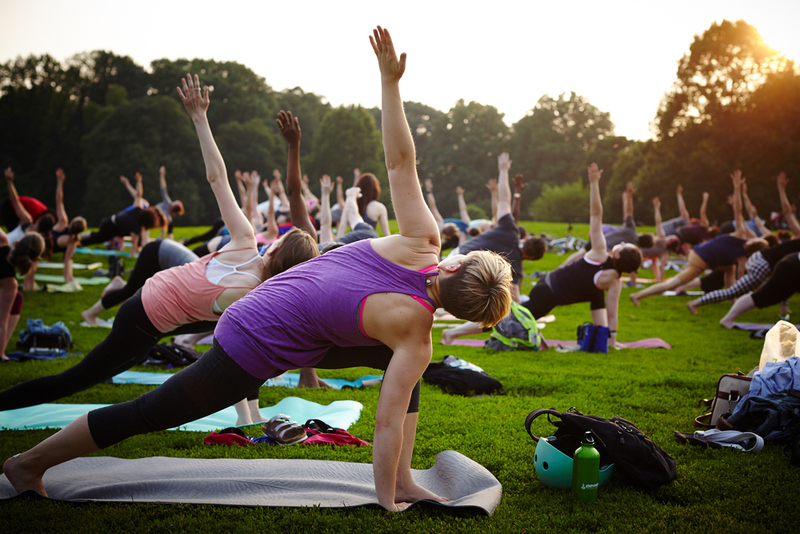 To participate in the Prospect Park Yoga series you MUST rsvp and acknowledge the waiver prior to your first class. For weather-related updates, please follow us on Facebook and Instagram. DIRECTIONS: Enter the park at Grand Army Plaza, Garfield, or 3rd St. Proceed to Long Meadow and look for the sea of mats. Bring your own mat and water bottle plus a friend or two! 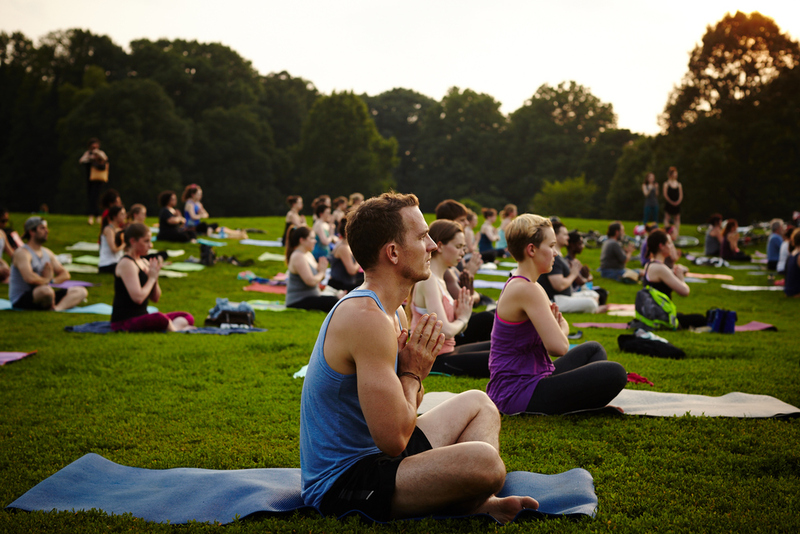 Prospect Park Yoga was launched in 2008 by Bend + Bloom Yoga's founder, Amy Quinn Suplina. 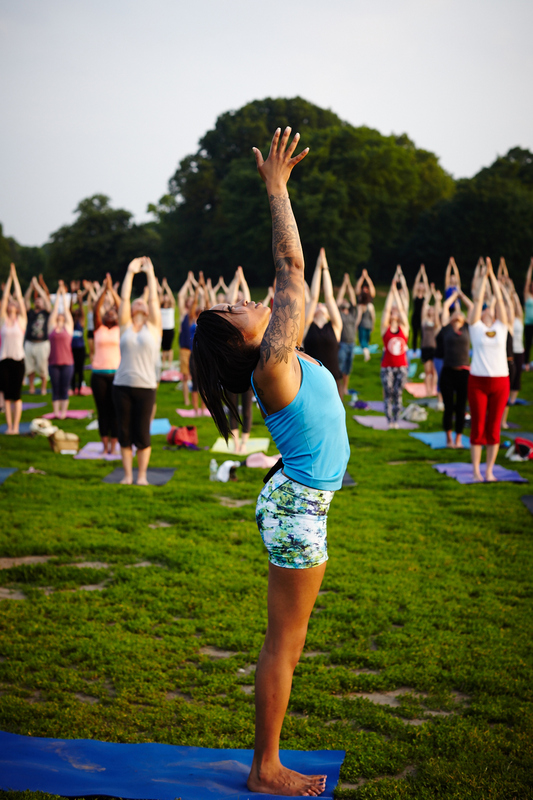 Located in the heart of Park Slope, Bend + Bloom offers over 65 yoga classes every week, including high-quality adult classes for all levels, yoga for kids, and a robust pre- and post-natal program led by some of the area's most skilled teachers. 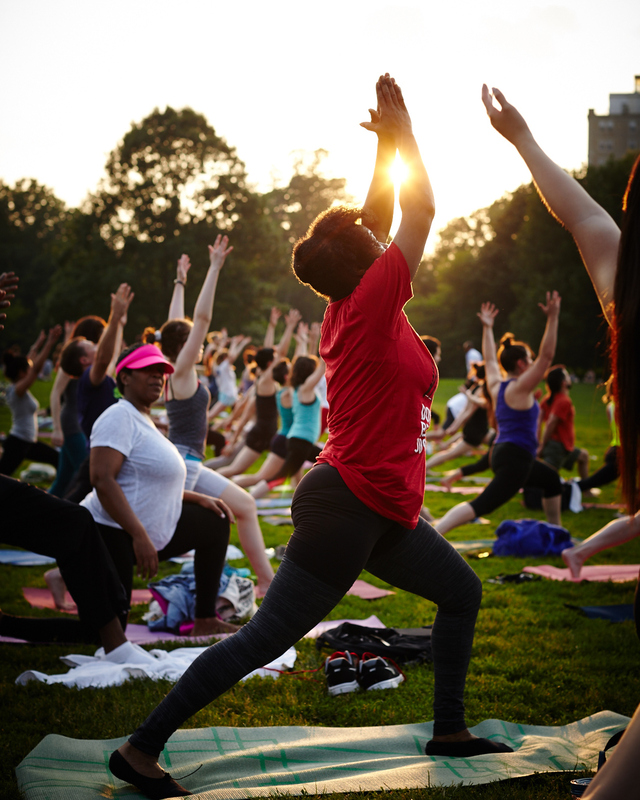 Bend + Bloom, New York-Presbyterian Brooklyn Methodist Hospital, and Prospect Park Alliance believe that yoga should be accessible for all. 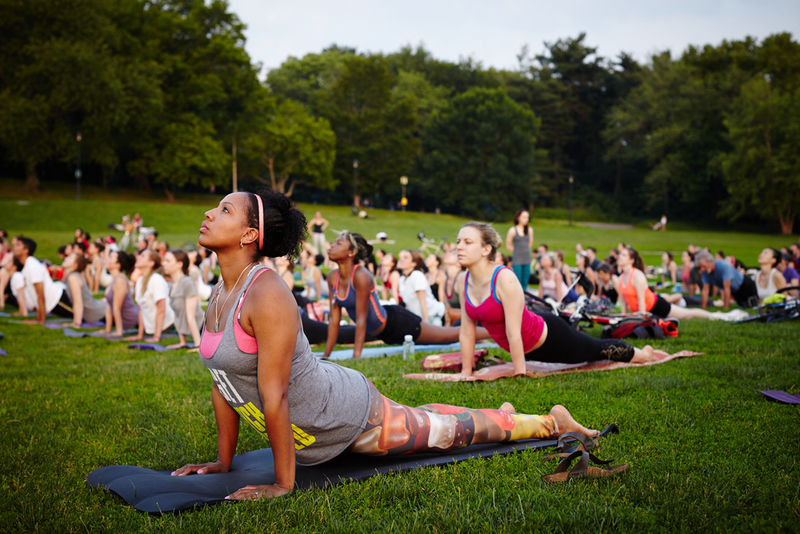 The Prospect Park Yoga series is infused with a spirit of welcome for all levels and backgrounds. Prospect Park Alliance is the non-profit organization that sustains, restores and advances Prospect Park, Brooklyn’s Backyard, for the benefit of the diverse communities that call Brooklyn home. The Alliance provides critical staff and resources that keep the Park green and vibrant. We welcome you to get involved and support the park at www.prospectpark.org.